Many patients in their late twenties and early thirties come in complaining that they once had perfectly straight teeth, and now they don’t. Today there is a discreet way to straighten teeth without the traditional metal braces and wires. Learn more about Invisalign in Jacksonville. Invisalign seems to be everywhere you look these days. 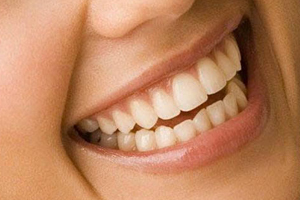 The popularity of straightening teeth with a nearly invisible method is increasing. Patients are especially thrilled with the shorter wear times offers by the Invisalign trays. Many people are finishing their teeth straightening treatments in as little as 6 months. Options exist that range from 5 trays and up, discuss your specific concerns with the dentist to help determine the best options for Invisalign or combinations of teeth straightening and porcelain veneers. According to AACD, whitening treatments have increased by more than 300 percent over the past five years. With images of celebrities with gleaming smiles to advertisements for at-home bleaching kits at every turn, the most desirable level of whiteness keeps getting brighter. But the fact is, the level that you can achieve may be limited by both genetics and lifestyle factors that play a major role in the color of your teeth. Most common causes for staining include food and beverages (coffee, tea, cola, red wine, dark berries, soy sauce), fluoride (white spots), smoking, hereditary (some people just have darker teeth of brighter teeth), antibiotics (tetracycline taken as a child), and trauma (may cause a dark tooth). For optimal results, professional whitening treatments penetrate deeper to whiten the teeth and the results last longer than those seen over- the- counter treatments. We recommend wearing custom take home trays for up to two weeks followed by a one hour whitening treatment in the office. Trays can be used to touch up once a month. Take home trays have the potential to work better than one hour whitening, but compliance is an issue. One hour whitening procedures are the equivalent of wearing trays for 10-14 days, which most people have a hard time doing. Sensitivity with in office whitening can last about 24 hours, whereas with the trays it can last longer because you are bleaching for many days in a row. Smile Stylist’s use the safest and most effective whitening products for your smile. You can’t underestimate the role the gums play in the overall appearance of the mouth. You can make major improvements to a gummy smile. Excess gum tissue can make teeth appear shorter than they really are, and proportion can be restored with a gum lift, or gingivectomy. Either a laser or traditional surgery can be used, (or a combination of both), but this can depend on your individual condition. For those with gum discrepancies, like different gum heights from tooth to tooth, this can sometimes be done simply with a laser to expose more tooth. This is an easy procedure that will have your smile looking better in minutes. Healing time is very minimal, perhaps a day or two. But if removing excess gum exposes part of the root surface, this will usually have to be covered with a porcelain veneer or bonding. Extreme cases, such as when gum and bone need to be removed, require a more extensive procedure. We used to have to do a surgery where the gum is cut and a flap is created before a few millimeters of bone are removed and the gum is sutured up. Today we can do this same procedure with a special lasers, eliminating six weeks of healing time and much of the post operative pain. This requires a few days of healing time. Both lasers and traditional surgeries are great options and the best option for you will be determined by the expertise of the dentist. The lasers are large investment for the office, but eliminates a lot of the compromises we used to have to live with in a smile. A little fine-tuning can go a long way. To fix chips, gaps, and other minor smile imperfections, bonding and contouring is a conservative treatment choice. This one-appointment procedure involves bonding (roughening the tooth’s surface and applying a tooth colored filling material to the teeth that is hardened with a special light) and contouring, which can fine-tune a smile by reshaping the teeth to create an illusion of better alignment and more uniform length. Bonding and contouring is typically used together to add and take away very minor areas of the teeth. Bonding can be used for veneers, but there are limitations, especially with the esthetic outcome and durability. Anesthesia is not often needed for this visit and the results are instant. Bonding is also used for replacing silver fillings on back teeth, eliminating the black colored areas in the back of your mouth seen when talking and laughing. Most patients whiten their teeth first, then add bonding to match their new brighter smile. This is a great way to conservatively reverse the signs of aging for those with a limited budget. The most stunning way to improve a smile, porcelain veneers offer dentists and patients the most control. From whitening teeth to fixing crowding, to widening the smile and lengthening the teeth, porcelain veneers can be used as a treatment modality to give you that ultimate smile makeover. Porcelain veneers can be used in conjunction with other services to offer more natural, healthy and conservative results. Still hungry for more information about cosmetic dentistry and choosing a cosmetic dentist?